Here at Olga de Polga we are all about colour and prints, its basically apart of our DNA. We love to have fun with print on print, bold colours and mixing tones, why? Because why not! The rest of the world is wearing black or a version of it and for us wearing fun tones makes us feel great! In saying that its not as easy as throwing on a black on black out fit and walking out the door, it takes time to think about how your going to put together your colourful outfit, and at times it can become overwhelming. Do you ever find your self looking into the deep abyss of clothes infront of you and throw your hands in the air deciding to go for the same things instead of venturing out? We understand, so we've put together three different looks that are styled with a pattern and base colour to help you venture to the other side of your Narnia wardrobe, let the fun begin! SUMMER DRESS, BUT ITS WINTER?! We all have that favourite summer dress in the wardrobe that your dying to wear but its just that, a summer dress, way to cold for the winter chills! The trick is to layer either on top or on bottom, you could pair it with some jeans under or in our case we popped a neutral long cardi overtop. We chose to go with a yellow handbag to accent the colour in the dress. Mustard can be a maker or break, but its not necessarily the colour mustard thats the problem, its the tone of it that maters. 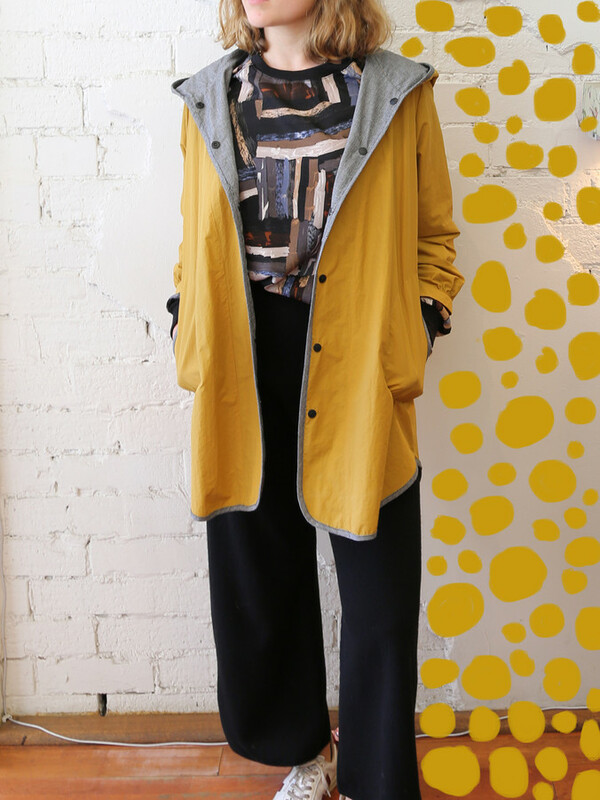 First of all find the tone that works for you, for this look we took a full on printed top and pared it with a mustard raincoat which cooled down the whole outfit. Make sure you tuck into your wide legged pants to give you shape, did I mention these are the comfiest in the world?! 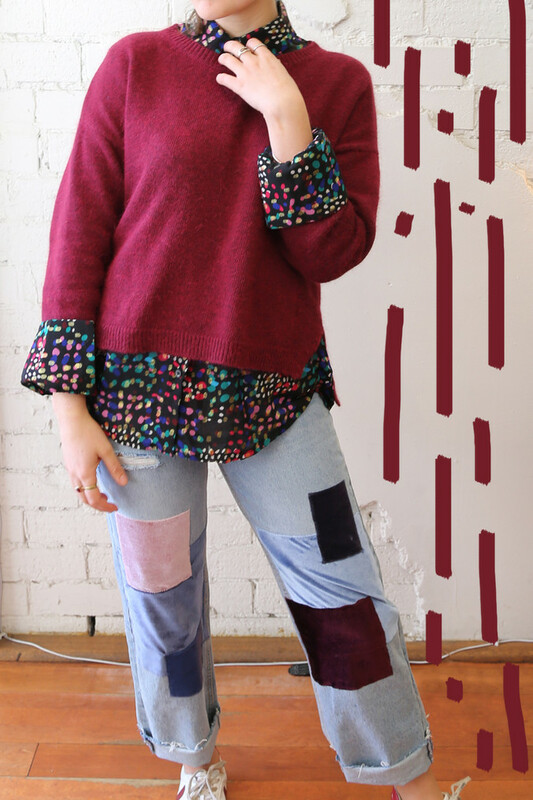 Pop into our Chapel and Brunswick Street stores to get the look! This defiantly isn't the most bold print on print version but its a great way to dip your toes in the water. We took a bold print shirt and layered under our Halifax jumper, make sure not to tuck your shirt in, you want to see it peeping through under the jumper! Our patch work jeans were the perfect match to go with the combo as they have a similar tone to the jeans and then voila! The perfect way to work print on print!